Bollywood CineTalk: 2nd Weekend of Shuddh Desi Romance & 1st Weekend of Grand Masti.. Box Office Report! 2nd Weekend of Shuddh Desi Romance & 1st Weekend of Grand Masti.. Box Office Report! Grand Masti had an excellent weekend with collections in the 40 crore nett range. It is a huge number for the film as this weekend is meant that most of the distributors have recovered 80-90% of the money paid for it over the weekend. Mumbai was sold for 8.50 crore and the weekend share will be 8 crore. East Punjab fetched 2.40 crore and the share is a little under 2 crore. The film has scored all over with Mumbai circuit being the stand out performer with around 15 crore nett business. The film may find it tough to sustain over the long run as at many places the Sunday growth was not quite there but the job has been done by the initial and the film is a big winner. Grand Masti had the fourth highest opening weeeknd of the year and in terms of cost it is the lowest budgeted film of the top ten openers listed below. Below are the highest collecting weekends of the year. The first weekend territorial breakdown is as follows. 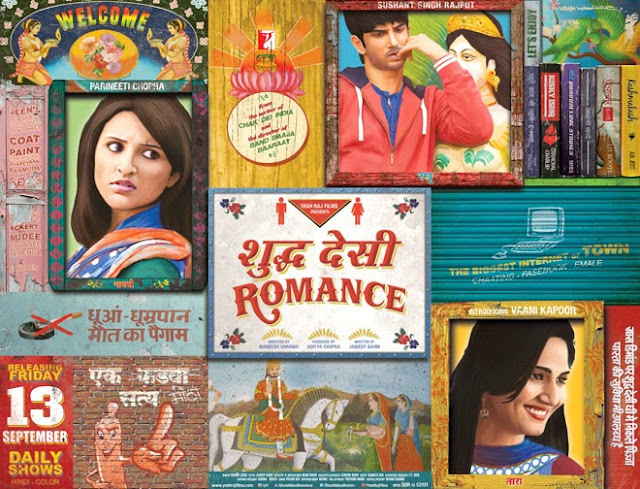 Shuddh Desi Romance dropped in its second weekend collecting around 5.75 crore nett. The ten day total is 42 crore nett. The drop from first weekend is around 75%. The film got affected by badly Grand Masti this weekend so a 75% drop is not too bad. The film has managed good to reasonable business on all circuits with Delhi/UP and Rajasthan tops. Shuddh Desi Romance will finish with a lifetime total of around 48 crore nett.